As one of Europe’s leading speaker bureaus, Kruger Cowne represent some of the most sought after public figures in the world including Sir Bob Geldof, Elle Macpherson, Amanda Wakeley and Boris Becker to name but a few. 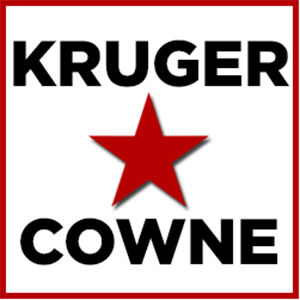 Kruger Cowne are renowned for their roster of talent and reputation for delivering exceptional speaking engagements to a global clientele of corporate customers. The Kruger Cowne Breakfast Club gives a chance to see inspiring speakers before you make a decision for your event. We meet monthly and give you and your colleagues an opportunity to listen to world class speakers, to ask them the questions you’ve been dying to ask and to book our speakers for a wide array of conferences and events, to deliver keynotes and after dinner speeches, or to take part in moderated Q&A sessions, panels and more. To register your interest to attend one of our Breakfast Clubs, please email [email protected].